The three most important words in real estate have always been location, location, location. In the current market, local insights are far more important and meaningful than national, state and county trends. In 2011, only 131 homes were sold in our neighbohood of approximately 4,500 homes. 2010 there were 123 sales. Prices are holding fairly well, on average, and the time on market seems to be hovering around 2 months. Of course there are always exceptions. The chart below segments sales volume and prices by specific neighborhood in 2011 that represents the majority of sales. The Hancock Park area continues to be a desirable place to live based on its central location, neighborhood benefits, fabulous architecture and value relative to other alternatives in the city. Demand is strong especially among first time home buyers and those trading up to accommodate growing families and needs. Mortgage interest rates are at historic lows. However, buyers continue to be very discerning and specific. Sellers can dramatically improve their odds of selling for the highest prices in the shortest amount of time by preparing their “product” for sale and pricing properly. First impressions are very important and this is where the guidance of an experienced agent can be invaluable. Sales over $2MM are especially strong. In 2011, there were only 31 sales versus 41 last year. On average prices were up about 5% or 1% on an average price per square foot basis due to an imbalance of supply and demand. In 2011, the mix of houses was far superior to 2010 in terms of style, condition and location which also influenced prices. It does take longer to find a buyer for the higher end properties. Average time on market has increased 15% to 166 days. The highest sale in Hancock Park was 336 S Hudson at $6,075,000. 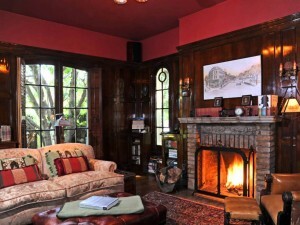 In Windsor Square the highest was 450 S Lucerne at $3,600,000. "It is not by accident that Ms. Carr has such a stellar reputation in the neighborhood; she demonstrated daily that the reasons for her success come from a mastery of the details of the process, an intuitive instinct about people, and her understanding that a real estate sale is above all things a highly personal transaction."